Scientists want you have pleasure. And they want you to be safe.So they’ve developed a new kind of condom. It’s called, horrifically, "Electric Eel". But unlike the electrifying sea creature that it is named after, this condom sends electric impulses along the shaft to mimic pleasurable sensations that are usually dulled by traditional condoms. And they tested it on themselves as well as others. According to them, the resulting sensation was "pleasurable, comforting and exciting". 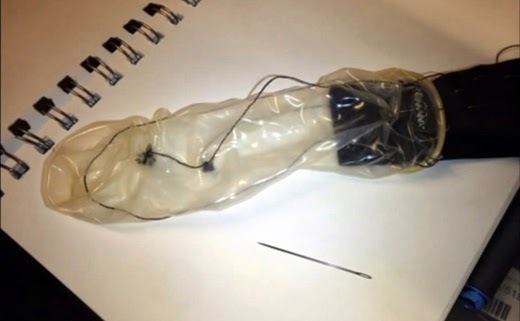 The two researchers have created two versions of the Electric Eel - one that is a rolled out existing condom rigged with electrodes and the other is a conductive sock.